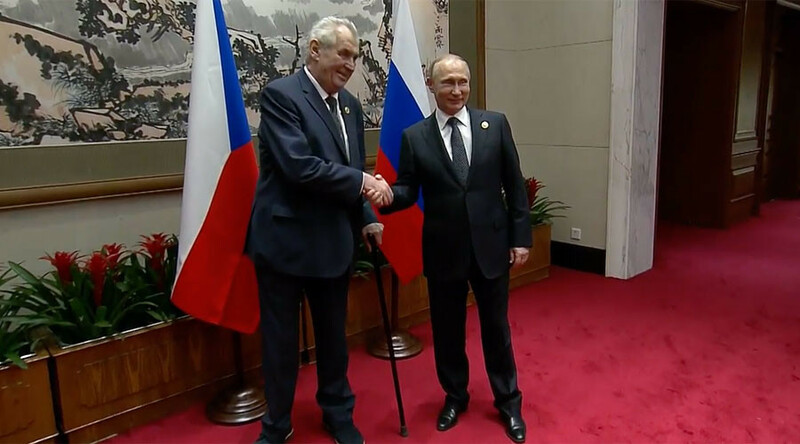 Czech President Milos Zeman refused the services of an interpreter for his meeting with President Vladimir Putin and Foreign Minister Sergey Lavrov, opting instead, to fire off one-liners and in Russian, on the sidelines of a key international conference in Beijing. “You are smoker just like me, Minister Lavrov – but your President forbids it,” 72-year-old Zeman, known for his bon viveur lifestyle, told the Russian Foreign Minister as he shook his hand during Sunday’s photo op at the “One Belt, One Road” forum in the Chinese capital. “I don’t recommend it!” Putin replied. “It’s the Duma that forbids it,” retorted Lavrov, with all three politicians appearing to enjoy a genuine laugh. All three were carrying on a running joke from a visit to Moscow in 2015, when Zeman greeted Lavrov in public, pointing out that he’d already seen the Russian Foreign Minister in the smoking room with Putin publicly urging his leading diplomat to give up. “We all understand at least one Russian dialect,” said Zeman in his idiosyncratic but comprehensible Russian, which he learned in school during Communist times. 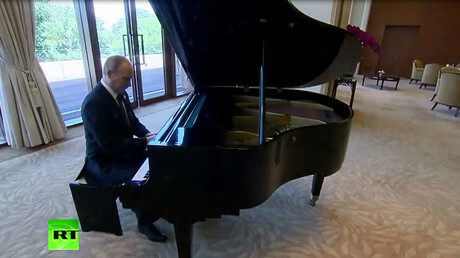 “Maybe not liquidate, but make some of them redundant,” replied a smiling Putin. 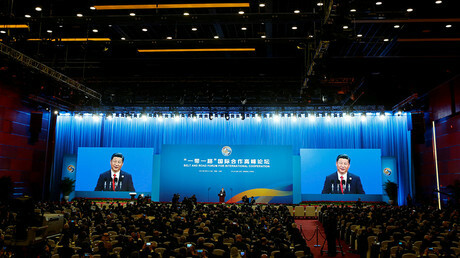 The appearance alongside Putin at the Beijing conference – where China's President Xi announced ambitious plans to invest hundreds of billions of dollars into creating a so-called New Silk Road – is also a boost for Zeman who will likely seek re-election this year. While Zeman’s current post was designed to be mostly ceremonial, as the Czech Republic has stumbled from one constitutional crisis to another, the former prime minister, who is regularly polled as one of the most popular in his homeland, has become a decisive power broker. The country’s de-facto leader, Prime Minister Bohuslav Sobotka, first announced his resignation over illegal enrichment accusations leveled at his finance minister earlier this month, then withdrew it. The scandal has produced mass protests in the streets of Prague. "The Russian side wants this forum to be represented by some credible person from the Czech side," said Zeman in a likely jibe aimed at Sobotka, his long-time rival. "I'm not entirely sure I have that authority, but if I do, I am fully prepared to exercise it."